In my role leading the Global Partner Program, Marketing and Operations, my team has spearheaded the growth and development of the Partner+ Program, driving continuous advancements, improving the partner experience and expanding Splunk's partner-listening initiatives. 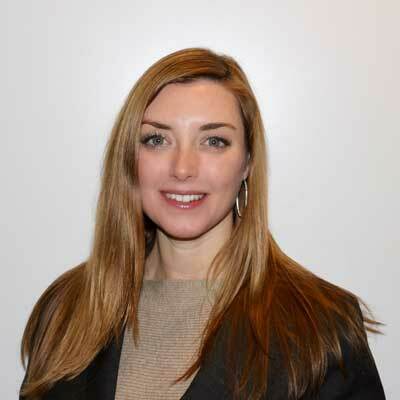 In particular, the last 12 months saw the launch and enhancement of several major programs and services which Brooke led within the Partner+ Program, including: Launch of the new Splunk Partner Portal, empowering partners to grow and manage their Splunk business from a modern, easy-to-use interface. Partners have easy access to deal registration, marketing tools, program guidelines, certification and other Splunk resources. Since the portal launch in mid-July, the new portal has had more than 18,000 user logins from nearly 90 countries. Introduction of the Partner+ Managed Service Provider (MSP) Program to streamline the partnership process for MSPs, supported by global Splunk Authorized Distributors to recruit, onboard, and manage MSPs. Introduction of the Partner+ Professional Services Program to provide an enhanced partnering model for professional services delivery partners. Enhancements to the Partner+ Reseller Program, providing a simplified and globally consistent discount structure, new and mutually beneficial rules of engagement and a simpler transaction registration process. It's hard to name just one! We are fortunate at Splunk to have strong women on our executive team, including Splunk's Chief Revenue Officer, Chief of our Security Practice and our Chief People Officer - these are all strong and inspiring women! Throughout the last couple years, I have also been particularly inspired by Sheryl Sandberg. Not only for all her professional successes, but her impact on the world with the Lean In initiative and in the graceful and poignant way she has handled losing her husband, a truly awful tragedy to endure. My advice would be "You don't have to be perfect." As a recovering perfectionist, I really could have benefited from this advice earlier in life! Given the nature of my global role working with partners all around the world, I want to learn to speak more languages. I can speak French and Portuguese. Spanish and Japanese are next on my list! The best work-related book I have read this past year was Extreme Ownership: How U.S. Navy SEALs Lead and Win by Jocko Willink and Leif Babin. The book centers on the teamwork and leadership. It emphasizes the team over the individual and leaders being accountable and truly owning everything within their area of responsibility.